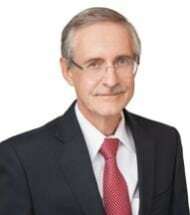 Mr. Boyce’s practice involves, primarily, the representation of clients in civil and commercial litigation including personal injury, wrongful death, premises liability, employer liability, products liability, insurance defense, commercial disputes, and breach of contract disputes. He also works with and represents owners, general contractors, and sub contractors across Texas in construction defect litigation involving commercial and residential construction projects. Mr. Boyce has been included in Texas Super Lawyer® magazine from 2003 to 2018, and was named in Texas Super Lawyer® magazine list of top 50 lawyers in Central and West Texas (Austin, San Antonio, and El Paso) in 2007 and 2015 to 2018. He is fluent in Spanish. • Represents general contractors and subcontractors in multi-million dollar claims and lawsuits involving construction defects, design defects, contract claims, and delay damages. • Successfully defends publicly traded and privately held corporations and small businesses against wrongful death, worksite accident, electrocution, premises liability, employer liability, DTPA and products defect lawsuits. • Successfully defends individuals and commercial clients in wrongful death, trucking, personal injury, and DTPA lawsuits. • Tried lawsuits in state and federal courts and obtained favorable jury verdicts for individual and commercial clients. • Prepared appellate briefs and argued before the appellate court to successfully defend favorable verdicts and judgments obtained at the trial court. • Coordinates and conducts time sensitive investigations of construction, automobile, trucking, and workplace accidents. • Assists clients with resolving disputes and lawsuits through mediation and arbitration.